Now available in single, dual, or quad channel! See "Description" tab below for additional information. The WaveNeuro FSCV Potentiostat System is available in 1, 2, or 4 channel configurations, as well as with or without data acquisition accessories. Browse the different bundle options below. The WaveNeuro FSCV potentiostat requires a power cable. Specify the appropriate power cord style during order. Pine Research offers a wide variety of plug styles. Stock up on Pine Research Headstage Cable Kits to keep your lab productive. Pine Research does not supply HDCV Software. Users should request HDCV from the University of North Carolina at Chapel Hill. The WaveNeuro® Fast Scan Cyclic Voltammetry (FSCV) Potentiostat System is a unique electrochemical instrument you will not find from other traditional electrochemical suppliers. We are excited to bring high quality, regularly available, and uniquely designed neuroelectrochemical research products to you. Designed by FSCV scientists for FSCV scientists, the WaveNeuro is well-designed, of high quality construction, and supported by a company dedicated to supporting the instrument, as well as you the researcher. 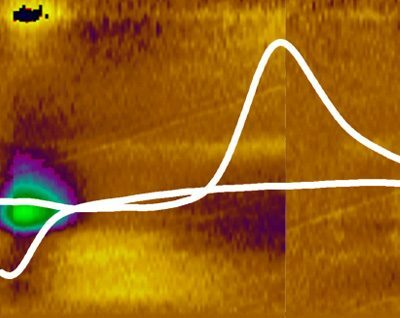 The WaveNeuro seeks to fill the gap that exists for commercial fast-scan cyclic voltammetry (FSCV) systems. The WaveNeuro is available in single channel (WaveNeuro One), dual channel (WaveNeuro Two), and quad multichannel (WaveNeuro Four) configurations! 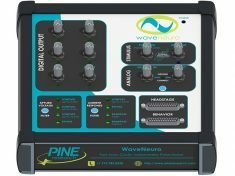 The WaveNeuro Potentiostat was designed for the scientist (neuroscientist, psychologist, physician, chemist, biologist, etc.) who seeks to study the link between the brain chemistry of electroactive species (such as monoamines, catecholamines like dopamine and serotonin, oxygen, peroxide, etc.) and physiology (such as structure, function, disease, neural transmission, etc.) and behavior (such as addiction, impulsivity, decision-making, etc.). Microdialysis, still a technique used in the field, can provide high spatial resolution for detection of these chemical species but offers poor temporal resolution. FSCV, as a technique, provides both high spatial and high temporal resolution. Coupled with carbon fiber microelectrodes, FSCV provides a well-established platform for in-vivo and in-vitro experimentation. Traditionally, the products and instrumentation required to perform FSCV have only been available through scientific connections with developing laboratories. As the technique has grown in popularity, due in part to its relative ease of use, the availability of instrumentation has not followed the same trend. We are excited to bring such FSCV instrumentation to the market, thereby providing the robust technical, service, and sales support you have come to expect in the field of research instrumentation. After official release, we will strive to have items in stock and ready to ship! Who can wait 8 weeks or more when your research productivity is on the line? 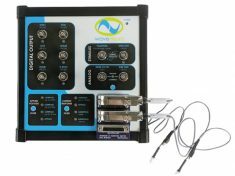 A system that breaks from the past, with an overall updated design, including: a “breakout box” built into and included with the WaveNeuro, intuitive and clearly-labeled connectors, in a small dimensional footprint. 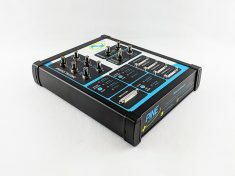 Built for flexibility – includes behavioral input mapping to digital and analog input/output connections. Designed with Pine Research modular headstage cable design, preventing that “pile of unknown headstage/cables” that so many labs make over time. 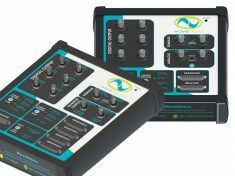 1, 2, or 4 Channel Configurations now available! Contact us with any questions or support requests by phone or e-mail. 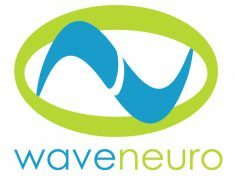 Review the WaveNeuro Knowledgebase content.